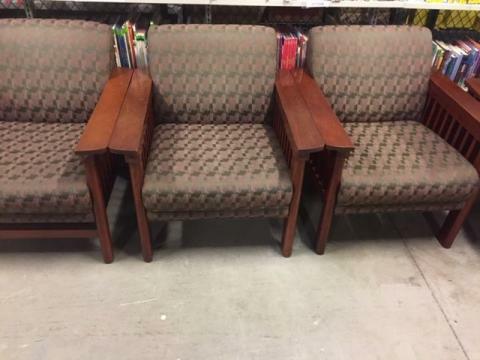 Mission Style Chairs in fair condition. Must pick up during open library hours. Asking $1.00 per chair, can be sold individually or in bulk.